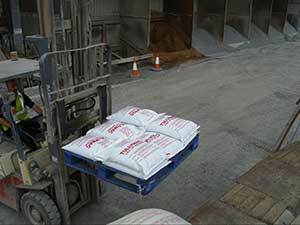 Tullymac cold lay macadam is blended, tested and packaged to the highest quality standards. This includes being part of the ISO9001 quality scheme. 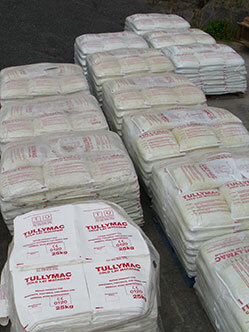 Tullymac is bagged in 25Kg or 1tonne builders bags. 25Kg bags can be sold individually or as a pallet of 50 bags. Tullymac can also be sold in bulk form which can be collected from the quarry with prior arrangements.